Casts blood in petals on the land. When all the world was you and I. And seek their favours in return. And long before I lost the dawn. Fades all my memories of you. To be awakened never more. Shall be the verse of my last song. Your wraith will guide me into night. © Frederick Anderson 2016. All rights reserved. Unauthorized use and/or duplication of this material without express and written permission from the author is strictly prohibited. 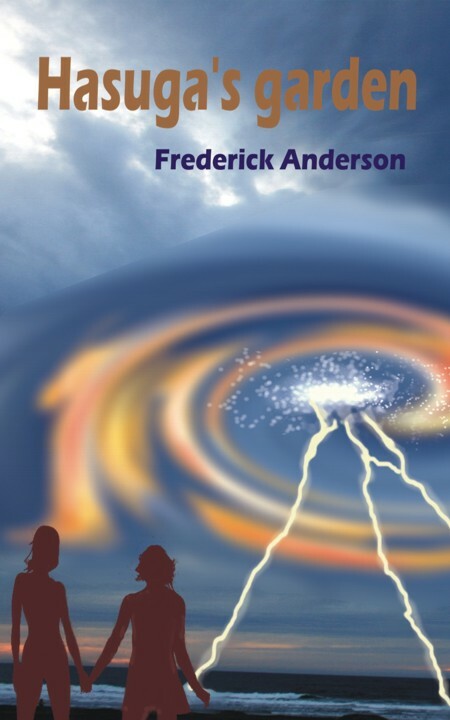 Excerpts and links may be used, provided that full and clear credit is given to Frederick Anderson with specific direction to the original content. So the frivolities are over, the obligations fulfilled, the promises made. The bride and bridegroom of the old year have been waved away, leaving the land to rest and await Spring’s wakening. The coloured lights, the glitter’s memory, the gleam of hope must warm us for a while as we prepare against Nature’s frozen sleep. Yet there is an air of apocalypse about this year’s turning. Highest winds, heaviest rain, warmest recorded days – they march together holding their placards high to remind us – the world is old; it has no more to give. So many good people have spent their winter festival in darkness this year: no coloured lights, no tinsel, no happy gathering of family or friends to warm their hearts, just the rising waters of burst rivers about their feet, the howl of the storm around their heads. Although there will always be those who smile and push the truth aside: next winter will be better, next year all this will be forgotten – although some will insist it is ‘God’s punishment’, and go about in sackcloth and ashes exhorting us to use coloured bins, to drink our own recycled urine, to store our sunny days in batteries as if that will somehow tip the scales, yet there is only one truth. We all know it, in our hearts. I have this one wish. If you like it is my New Year’s resolution. It is not for me, my tenancy has nearly expired. It is for my children I ask that we please accept: there is a god – not some mythical deity reigning over an undefinable paradise, no, but a god whose existence is provable, who has us in her care. By our actions, rather than by cheap words and mindless ritual, we should honour her. Yet we turn our backs. We exploit her, we use her gifts for our own selfish gains. When, occasionally and understandably, she gets cross she reminds us of her power. In the tsunami, the earthquake, the typhoon, the epidemic or the drought. She is reminding us now. In fact, she is giving us our final warning. Before the contagion of monotheism took hold our ancestors well knew Nature’s power – they grew wise in the art of living beneath her panoply and they prospered, in the terms of their time. They brought us to our place in the world of today. And no, I am not advocating a return to the grass hut, or the shadow of a new plague. Civilisation has brought many good things to the table; progress is not all bad. Conspicuous consumption, over-indulgence and greed – those things are bad; and no religion is needed to remind us of basic morality – that we can see for ourselves, whether or not we choose to confess it. Somehow – peacefully, I would hope – we need to get some sort of grip on the numbers. We have to comprehend the selfishness of the individual when that runs contrary to the interests of our species and control our natural desire to multiply. If we do not do so, if we continue to delude ourselves that somehow technology can be made to stretch the resources of our planet indefinitely, then Nature will act. Humankind will become just another brief chapter in that dusty tome of evolution which nestles on a shelf somewhere among the stars. The way of man is the pointless fight. It is the way of man that the final battle is always lost. That is something we have to change. That’s it. Sorry to add a sombre note, but there are some things I just have to say! Back to the stories next time…. © 2016 Frederick Anderson; all rights reserved. No part of this article may be reproduced or transmitted in any form (other than for the purpose of re-blogging) or by any means, electronic or mechanical, including photocopying, recording, or any information storage and retrieval system without permission in writing from the copyright holder. When I raise my office blind this morning the crow is there, perched atop his favorite streetlight, and the sight of him is welcome, because I have seen less of him this summer. I open my window so we can talk. “Been missin’ me?” He asks. “LEDs, Light emitting diodes.” I tell him. Last year’s substitution of old metal-cased streetlights for newer plastic ones infuriated him, because they are slippery beneath his feet. As a remedy I invited him to perch on my windowsill instead, but that would place us less than six feet apart, and apparently he has intimacy issues. “Oh, of course!” My mind can only try to encompass his poor wife battling gales over the little east coast seaside town in winter, with its storm surges from the North Sea and those high, bleak cliffs. “You do know there’s only about four fishing boats still operating out of Whitby?” I say. 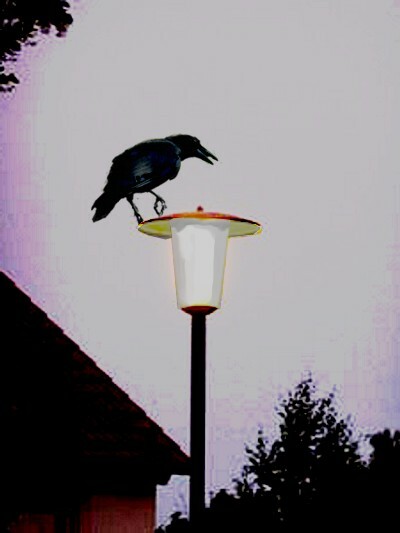 The crow shovels his great beak into his luxuriant wing feathers, muttering something inaudible. Let’s have a little game…. The evenings are drawing in, the temperature outside is ever lower, and soon the snows will come; but not yet. I am hoping when you read this you are at home and maybe it is dark outside. I am hoping a first November gale is blowing, that leaves, brown, red, amber, are flying by your window. Perhaps it will be cold enough to tip the grass with frost by morning, perhaps not. Are you comfortable now? Are you warm? See outside – the street lights, cheerfully blinking? Can you picture how dark it would be if there were no lights – if there was no street? Let’s take them away, then. Now your central heating – let’s take that, too! Instead, you’re huddled by an open fire, but wait – the fire is in a clay hearth marked out by a circle of stones. The wood you burn is green. It spits and crackles. Can you picture that? Can you feel it? There are no windows anymore! No double glazed transparency, no glass at all, no view of the outside dark: that is lost. Your ceiling, lost; your roof, too. Instead there is a thatch of straw or reed so badly bound it leaks steadily if it rains. Birds and the small creatures of the night live there, insects may drop in your hair from time to time – but even worse is the hole at the highest point of that roof, where the smoke of your chimneyless fire escapes. It doesn’t work when the wind is high. A choking haze fills your room, soot clings to the bare stone walls. The rain runs down them – drip – drip – drip…. You must ration carefully: save your food. Your supplies are mean and flavorless. Dried meat, maybe some root vegetables, whatever you can gather from the forest edge in the short hours of daylight – there will be nothing else until spring. So you’ve had enough? You want to get out of this? Go to your door, it is a few nailed planks at best, at worst an animal skin that flaps like a whip in the cold wind. Outside it is so dark you can see nothing; not the fingers on your hand, nor the arm that supports them. You can only hear. Yes, the night is full of sound. The trees of the forest reach to within a dozen yards of your room, and the wind howls through them like some soul demented. It is so easy to hallucinate when you are starved of proper food. What do you think you see, out there in the blackness? Stealthy shadows, unearthly figures? Dare you walk outside? The woods are full of wolves and bears – dare you walk outside? Beneath your floor your ancestors lie curled as they were in the womb, long dead: bad men swing from gibbets atop every hill, the predators of the woods are hungry, and you do not have the superiority over them you once assumed was your due. On a night like this they will come close, very close. If they sense your weakness – if you are ill or old, they will not wait to be invited in. And still the wind blows, and the storm cracks: and when lightning cleaves the sky it terrifies because it is a thing too great for your understanding. No-one has heard of electricity yet. So easy to envisage in your frightened mind witches flying in that night: so possible to imagine the touch of ghosts upon your flesh, the cries of your dead in the agony that waits them at the gates. So pardonable you should cower before the forces of the cruel season and call for those very ghosts, or to a god – to save you. The envelope of time which embraces this world of the past and our cozy modern homes need be scarcely larger than two millennia; a mere speck of gravel on evolution’s road. Small wonder, then, that we have not really shed the cloak of superstition that wraps a winter’s night, when Loki’s laughter whistles through the rafters, when the flash of Wayland’s sword splits the sky – when the thunder of Thor’s hammer is heard to crash and echo in the hills. Though our minds have accepted the sophistications of the years, our instincts have not. It is easy still to recall that naked terror of winter and the long nights – just walk outside, just linger in the darker pools between the streetlights, listen – and imagine. Odin’s cart is creaking along the ridge of that hill, gathering the bodies from the gibbets. 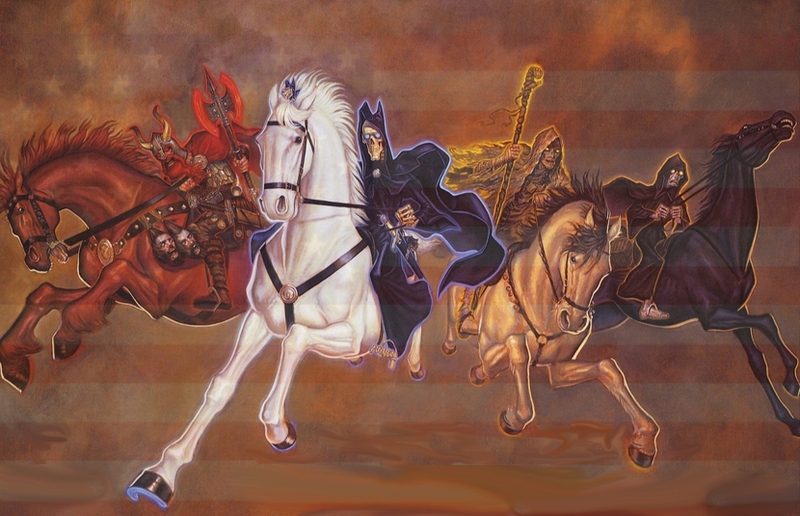 The wild riders, Horsemen of the Apocalypse are galloping towards you on that wind, the snuffling whisper behind those trees might just be dogs, or wolves, or bear…..
‘Tis the season when a young man’s thoughts lightly turn to pyromania. Tonight parents everywhere are wearily steeling themselves; priming fuses, arranging spills, offering anxious fingers to the wind: in a few hours they will be standing in their urban back gardens eating half-cold, half-cooked barbecue food, handing out blunt advice on the appropriate use of sparklers and launching extremely expensive fireworks into dense, impenetrable fog. Their progeny’s cries of amazement will prove to be in inverse ratio to money spent, and after fifteen minutes of anticlimax most will retire indoors to drink themselves into a stupor. Only a hardened few will linger to savor cordite laden air, in darkness softened by the red glow from next door’s shed. For many it will be the second party in less than a week. They will still be desperately sponging beer stains from their rented Hallowe’en costumes, or clasping their heads in a state of severe celebration fatigue. But what are we really trying to celebrate? When King James took the throne of England at the beginning of the seventeenth century he was unpopular. There were several reasons for this: he was James I of England but James VI of Scotland, which a lot of people found confusing; he was also averse to bathing, enough in itself to generate a certain atmosphere. The likely no-brainer, however, was his promise to ease the burdens of English Catholics – a promise he failed to fulfill. 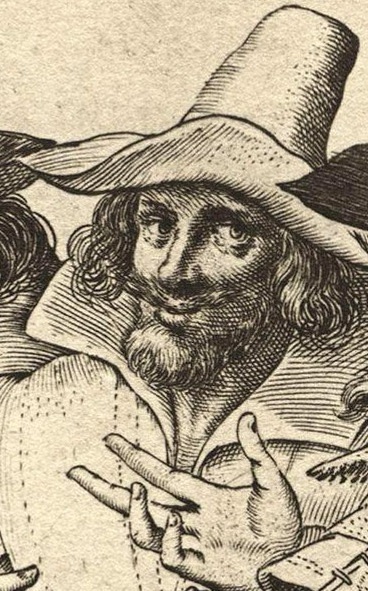 So in 1605 a bunch of Catholic activists led by one Robert Catesby tried to assassinate King James I by blowing up the Houses of Parliament when he was inside – an exercise involving 36 barrels of gunpowder (about the equivalent of a 5000lb bomb) secreted underneath the House of Lords. Sadly, you might think, word of Catesby’s intention to turn his Liege into a crater leaked out, and poor old Guido Fawkes was caught holding the baby (metaphorically speaking: he was actually holding the end of a fuse). For this we burn an effigy of him as a ‘Guy’ on top of our bonfires while we fire off rockets, and if this seems to you a bit of an over-reaction to something which failed in 1605 you’d be right. It is not the real origin of bonfire night; just an adaptation of a much older festival. All Hallows is, you see, the beginning of winter. It is the night when the sun heads south for the Costas and we Northern Spirits stuff our windows and door jambs with putty to seal ourselves against the cold. It is the night when the witches have one helluva party, because the darkness will hide their wicked endeavors until next spring comes, and dear old Odin does his last collection for the year. Bonfire night was originally part of the same festival before Guy Fawkes borrowed it. A pagan binge heralded by All Hallows Eve – a banishing of spirits for the season to come. For me, this week has special significance. It is the beginning of my winter – my peculiar darkness, when my thoughts turn to the stuff of nightmares, and evil at my window, stares in at my endeavors. As summer is the season of fertility upon the land, so winter is the nurture of the spirit. Persephone is in the Underworld, the River Styx runs black and cold, and men cower before their gods. I know my writing will catch the mood that flutters through the long night. It will be the darker, and speak of deeper things, until the dawn of Spring. A watery sun set about clearing the glaze of night-time snow, turning tiny icicles along the gutter edges into teardrops, sending little runnels of melt-water through the virgin white into hidden gutters and tinkling drains. By noon it might have been a spring day, for any trace there was of the early chill had gone, and the three chestnut trees on the green were bare again. But then, as afternoon began, the old trees shook themselves a little: a harsh breeze rattled doors, set the wind-chimes in Katie’s yard jangling discordantly. A grey sky-mountain loomed in the east, pursuing the sun. 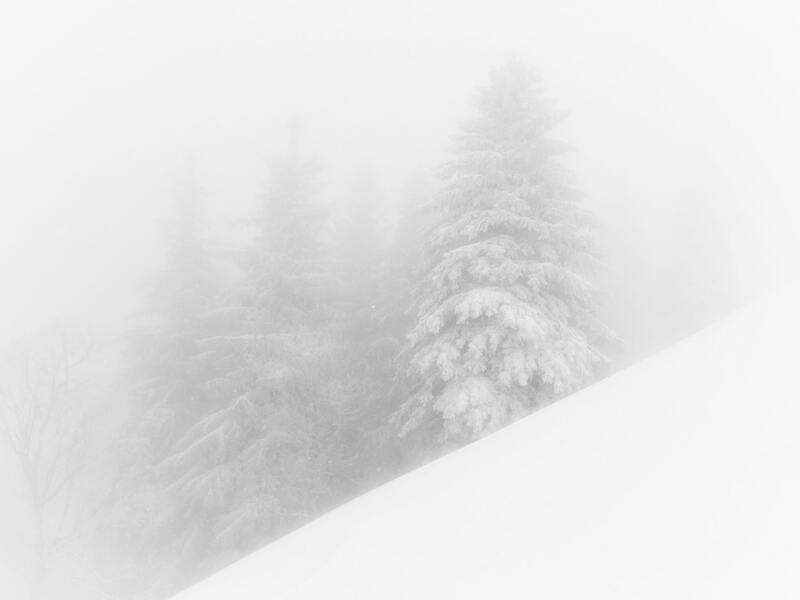 It came quickly, its indigo base oozing menace; and around two pm the snow began in earnest. Not a gentle blessing of bridal-white flakes, this: no soft breeze to choreograph fairy swirls and dances. No, this was an assault, a flaying scourge in needles of ice, scouring doors, slapping windows, screeching through rafters. Within minutes the work of morning was undone, and all the green was white again. From fairy swirls to dervish whirls, from dance to riotous affray, winter moved in. Her packing completed by late morning, Katie had witnessed this military advance from her front window. A pathetically small stack of cardboard cartons lined up by the kitchen wall represented all she owned and, she admitted to herself unhappily, it was not much. She could tell herself, if she liked, that possessions were ‘not her thing’, that she far more enjoyed the content of life than its ornamentation: but really she knew she had little to show for her celebration of living. And, right now, she did not feel like celebrating. 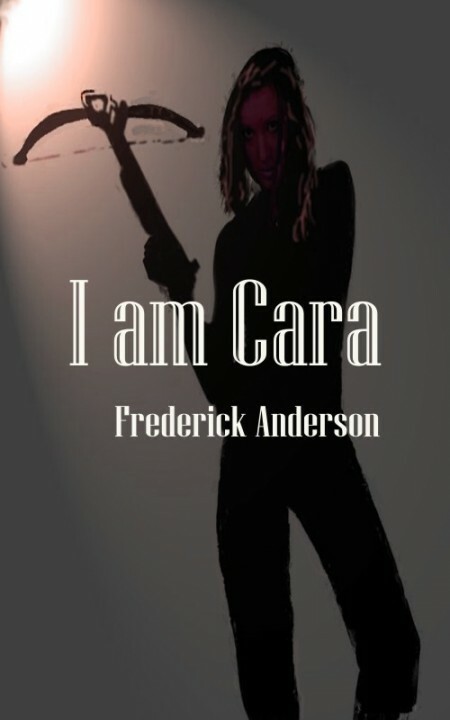 Laura’s account of Jace Harter’s past had set her back on her heels more than somewhat: she could understand how someone who had been so ravaged by relationships with women might be suspicious of all women; suspicious, and not as she had first thought jealous or afraid, of her. Given that past, she knew how much his apology the previous morning must have cost him; she had a glimpse through the façade to the real qualities of the man behind it. And now there was Ben. Oh, she was far too wise to build castles, dream dreams, on the strength of one day. She knew so little of Ben, had still evaded that essential question. But there was no doubting the intimacy between them, or the spark which lay waiting to be kindled. So, to go or stay? That afternoon, winter made her mind up for her. 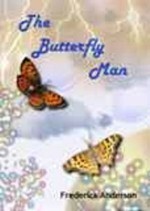 Excerpt from The Butterfly Man, by Frederick Anderson.